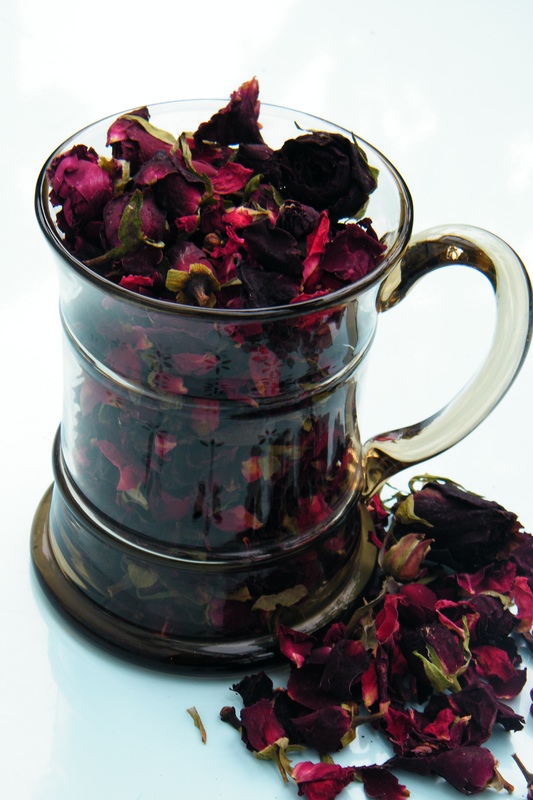 Here is a quick potpourri recipe to bring a warm spicy rose fragrance to your home. 1. 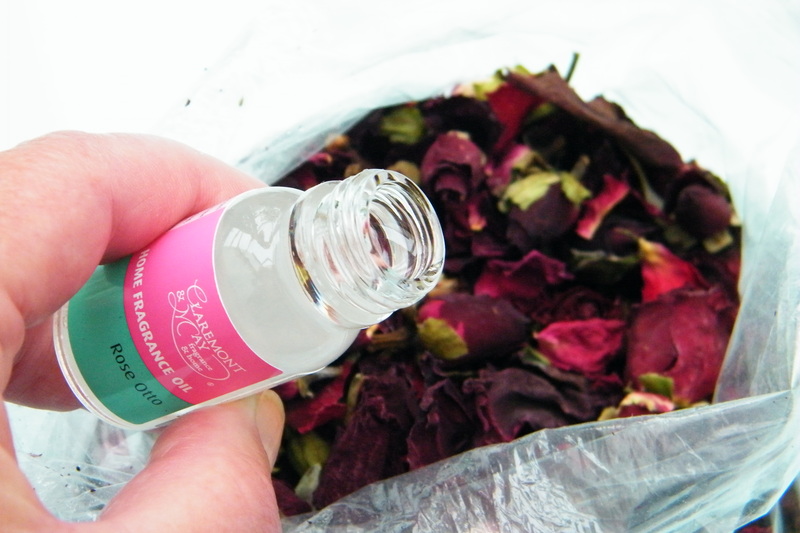 Mix up the cloves and rose buds and petals in the plastic bag. The roses I chose were a mixture of small air dried petals and buds, with half a dozen larger dark red rose buds. 2. 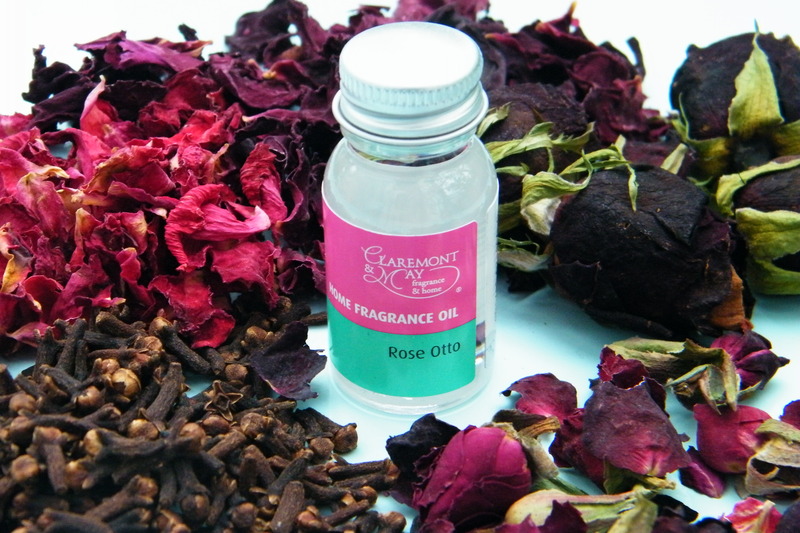 At this stage, you can already smell the cloves, and this fragrance needs to be balanced by adding a little extra rose fragrance oil. Claremont and May’s Rose Otto is my favourite oil for this purpose. Add about 6 drops of oil to the bag. 3. Tie the bag shut and shake gently to distribute the oil. Leave for an hour or two for the fragrance to permeate. 4. Display the beautiful potpourri. I chose a vintage glass tankard for mine – the dried flowers are pretty through the tinted glass. Tip – refresh this potpourri by disturbing the petals from time to time. When this no longer works, repeat steps 2 and 3 above.